Have you ever wanted to play God? 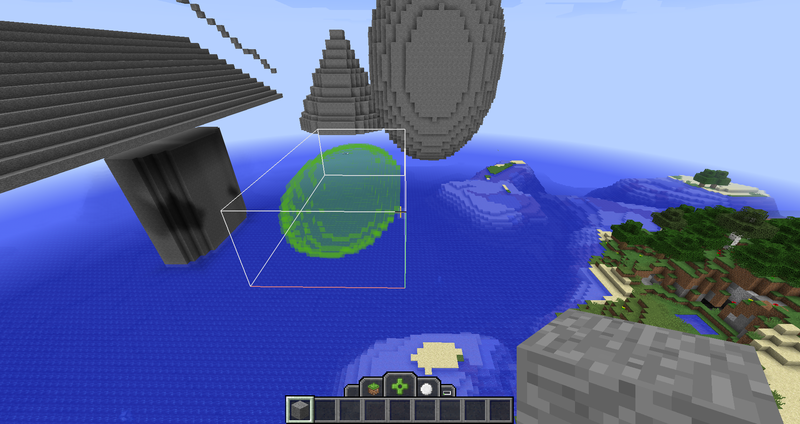 Orbis adds a new Designer Gamemode, allowing you to build structures within a moment’s notice. Whether you need to quickly delete a region, replace blocks, fill shapes or copy existing structures, Orbis can help you out. How do I use the gamemode? There is currently no "Designer" option in the Gamemode button for world creation, but it's something we'll be adding in the future. For now, activate the Gamemode as shown above. Orbis gives you a selection of different "Powers" to place around with. 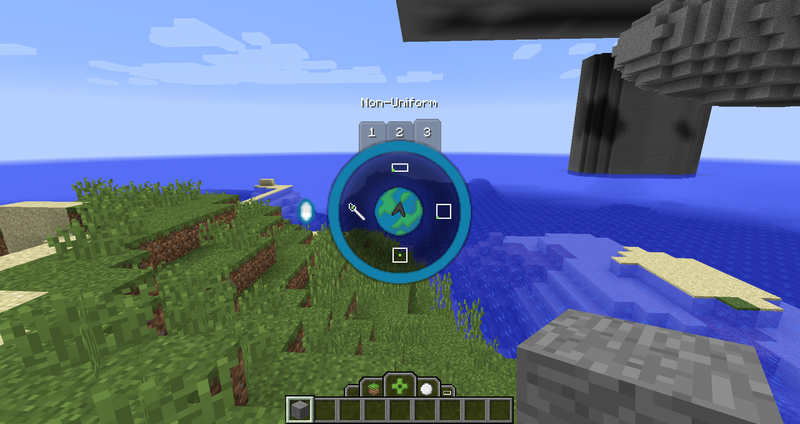 When you activate the Gamemode, you'll notice that there's a new interface above your hotbar. This interface shows you the current Power you are using. By default, you are in the "Creative" Power, which is for all intents and purposes just like standard Creative function. To switch to other Powers, you'll want to access the pivotal "Power Wheel". This can be brought up by holding TAB. You'll see a selection of different tabs and icons representing each Power. The first tab of this Power Wheel is detailed lower down, but first, let's talk about selecting. Many Powers in the mod require you to select a region in the world. This is done by holding down the Left or Right Mouse Button and dragging a selection in-world. When you are actively selecting an area (and holding down the mouse button), you can use the Scroll Wheel on your mouse to change the reach of your 3D cursor temporarily. If you want to permanently change your reach, you can hold CTRL while using the Scroll Wheel. You can also select things underground by holding down CTRL. 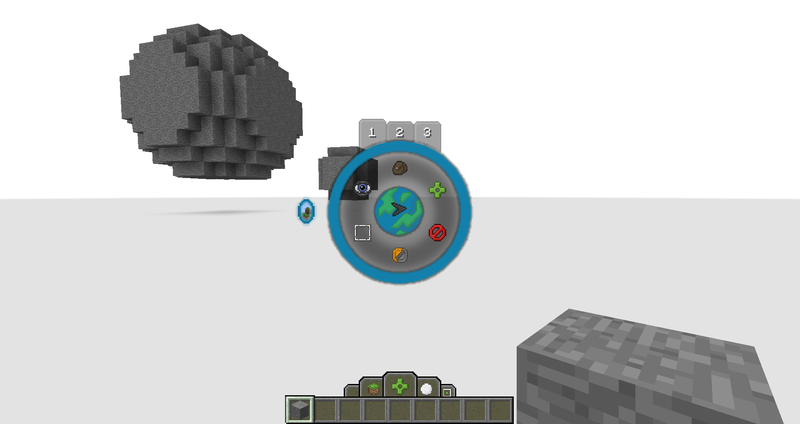 Holding CTRL also activates "xray" vision for regions behind other blocks. As mentioned above, Creative simply resets you to the normal Creative function of the Creative Gamemode. This is the default Power. This Power simply quickly switches you to the Spectator Gamemode. This allows you to quickly no-clip through terrain or structures while you're building. This is one of many "selecting" Powers. While holding either left or right mouse button, you can select and drag a region in the world to carry out certain actions. In the case of the Fill Power, selecting a region will fill the area with whatever Block you have held in your main hand. Delete is another "selecting" Power. Selecting with no Blocks in your hand will delete everything in your path. 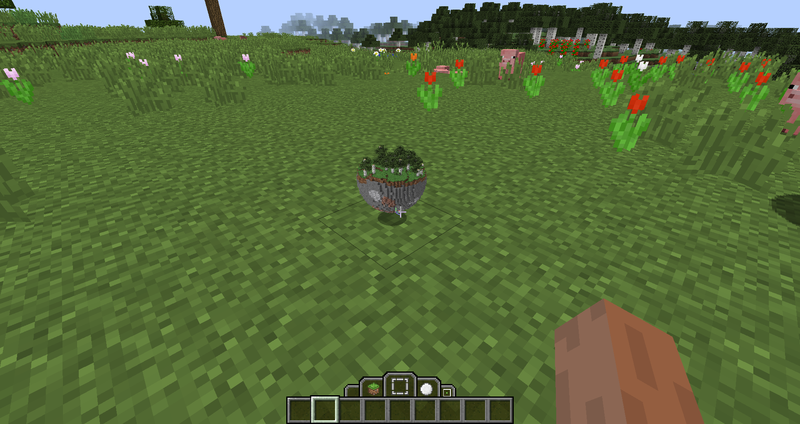 However, if you want to delete very specific Block type, hold that Block in your main hand while selecting. Selecting will replace any non-Air blocks in the region with the Block you're holding in your main hand. If you want to replace a specific Block type, hold that Block in your off hand while holding another Block to replace it with in your main hand. This creates a temporary region in the world. When you've selected an area, you can press Ctrl + C to copy a Block Chunk item into your hand. 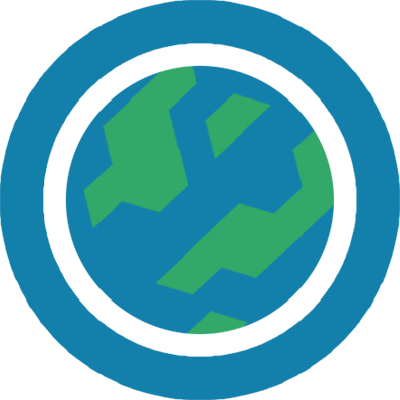 With this, you can place it in chests or left-click/right-click to generate it wherever your 3D cursor is. When you've selected a region, you can also press Delete on your keyboard to delete the contents of the selected region. In the future we'll allow users to script their own shape types. The third tab has a few different Selection Methods you can choose from. These methods dictate HOW you select regions. Selections are completely unrestricted in terms of dimensions. Selections are restricted in dimensions: Width and Length are constrained to the same value. Selections are restricted in dimensions: Width, Length and Height are constrained to the same value. Selections are made outwards from the center. Brush dimensions are Centered when defining a brush size. You can define a brush size by holding Right Mouse Button and moving the mouse away from position you started holding down. You can left click and hold to paint in the world. Ever made a mistake? Wanted to go back? 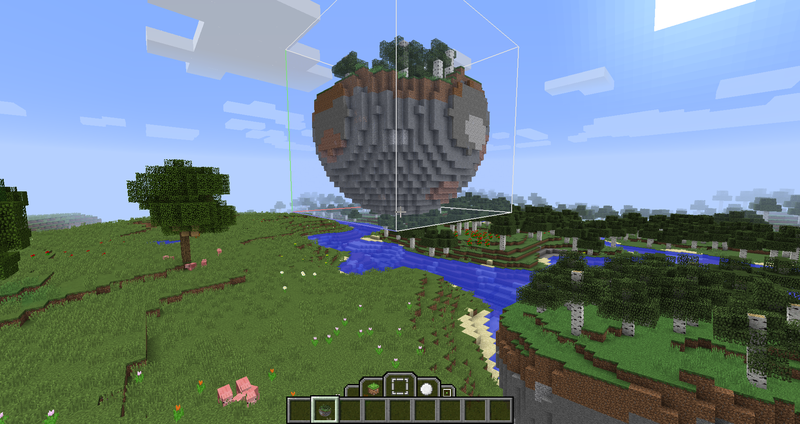 Well with Orbis, undoing an action (filling, deleting, placing a block chunk, etc) is as simple as pressing Ctrl + Z. That's right, it's that simple! To redo any action you've gone back on, you can press Ctrl + Y. Do note that that current history size for your actions is 20, meaning you can only go so far back and so far forward! In the future I'd like to increase the minimum size and make it configurable in the in-game menu. If you're in the Creative Power, you can also undo and redo both Block Placements, as well as Block Destruction. While outside of Creative Power, those undo and redo does not trigger for these actions. Undoing a destroyed block will also keep all data inside of it - so a chest with items in it or a command block with scripts in it will preserve all of that when undone! When opening the Power Wheel, you'll notice there's a cog button that opens up a Creation Settings menu. Inside here are a few configurable options. 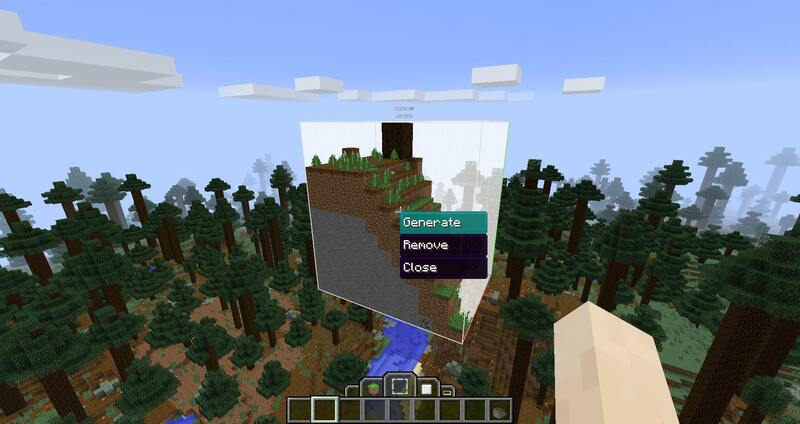 Place Air Blocks will make it so when you generate a Block Chunk, all air blocks inside of that Block Chunk will generate instead of not generating like they normally do. 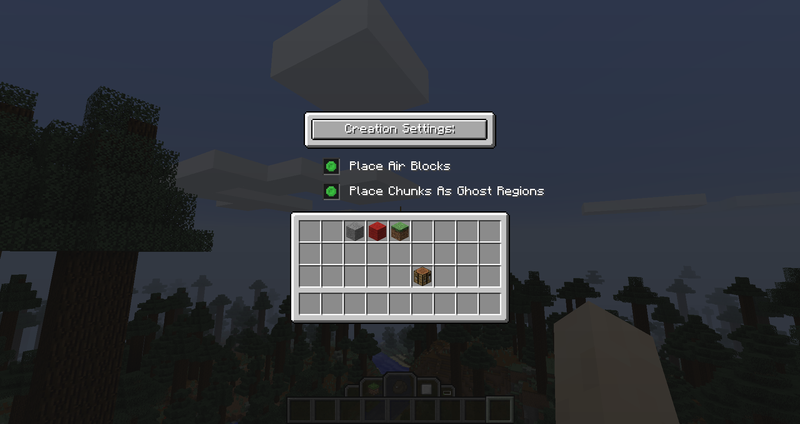 Place Chunks As Ghost Regions will allow you to prepare Block Chunks ahead of time. 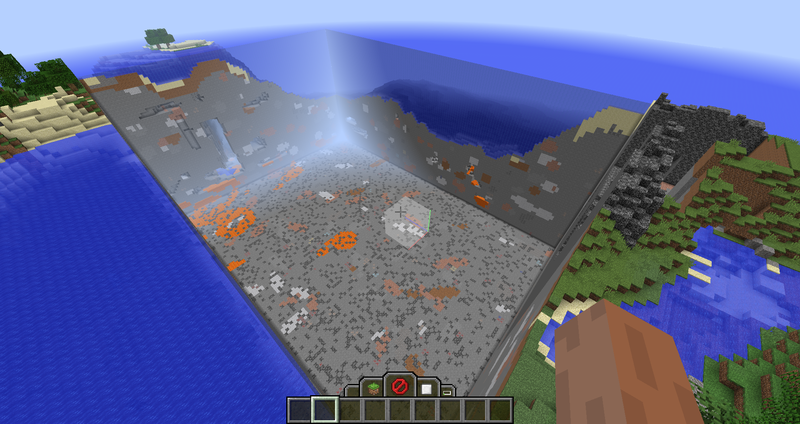 When you place it, it'll place as a ghost region for you to make sure it's how you want that chunk to generate. After, you simply right-click the region and press "Generate". If you do not like the way the Block Chunk was placed, you can right-click and press "Remove". Block Palettes are an important aspect of the mod. Let's say you want to Delete 2 or more specific Block types - you can do so by combining those blocks together into one "Block Palette", holding it in your hand, then selecting with the Delete Power. So how do you create a Block Palette? 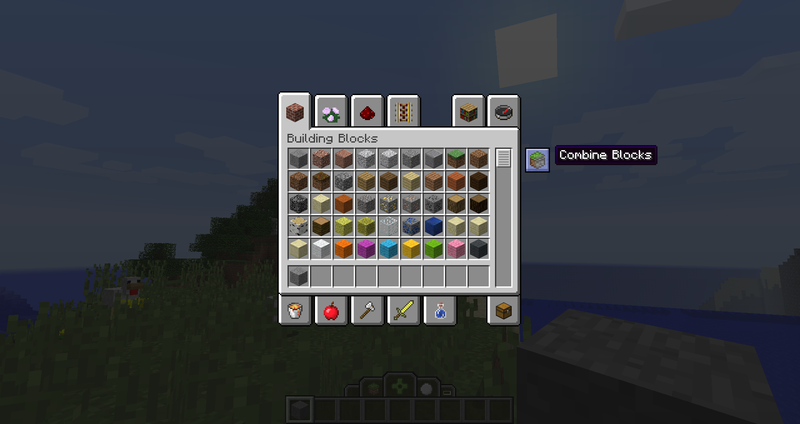 First you'll want to go to your Creative Inventory and click on the new button called "Combine Blocks". This will bring you to a whole new interface where you can combine blocks together in the matrix to the right. As you can see, you can combine blocks together with different stacksizes. This is to define the "ratio" or "chance" for specific blocks when filling with that Block Palette. As you can see above, my Block Palette with 7 Stone and 1 Gold Ore has generated favouring the Stone block type. 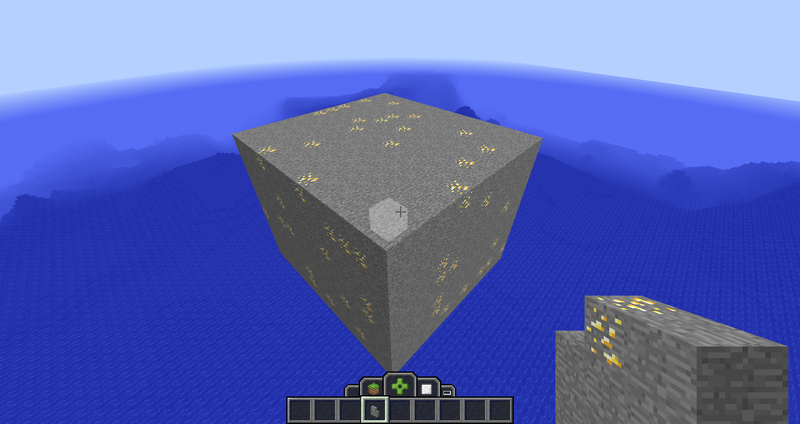 This is because in terms of ratio, there is more Stone, so it will generate that more often. Block Palettes are extremely useful and can be used with Fill, Delete and Replace in various ways. Give it a try! Ever wanted to have a flat, blank canvas to work with in Minecraft? Say no more - the dimension the mod is named after is just the solution for you. 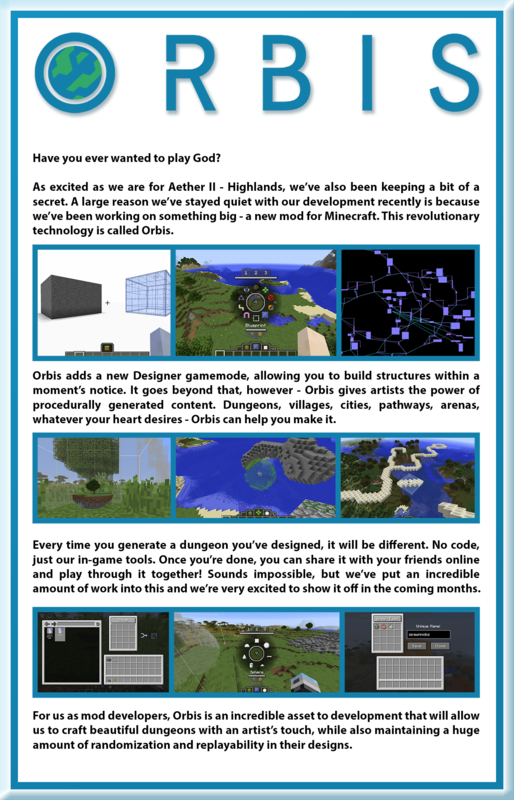 Orbis is a pocket dimension unique to each player, and acts as a getaway to be creative without destroying your original world. You can now also change the visuals of the floor inside your Orbis Dimension. 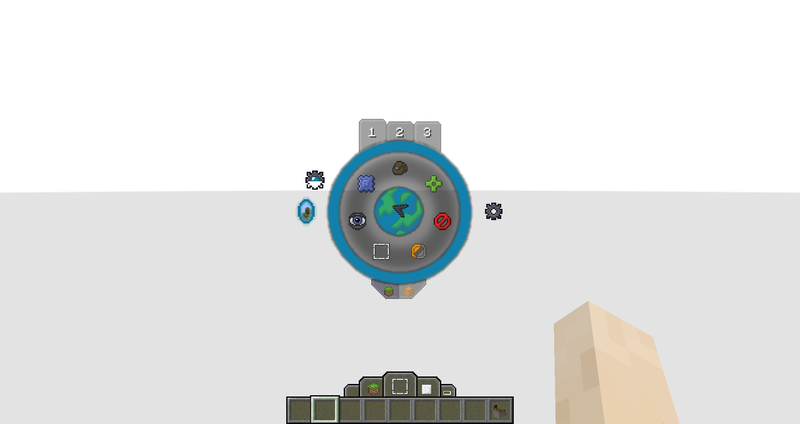 To do this, click on the little cog with a blue orb inside of it in the Power Wheel. This is only shown while in the Orbis Dimension. In the Orbis Settings menu, you can find two tick boxes: One for changing the floor visual as a block, and one for changing the floor visual as a color. By default, it chooses color, with the hex color code of white. As you can see, I chose the hex value of a light faded pink, and it changed the visuals in the background! If you'd like to change the floor to a block instead, click the tick box next to the slot and add a block to that slot. 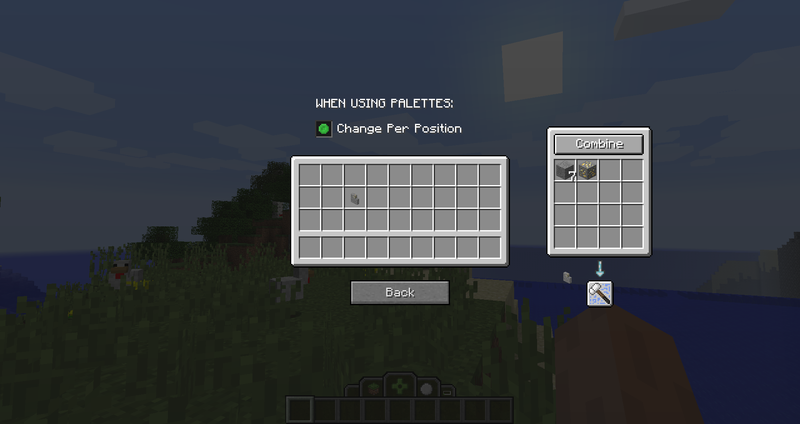 In the picture below, I changed it to Crafting Tables, but you can change it to whatever you desire! What's next? Wasn't there meant to be more? This is a VERY early Alpha version which shows off the building aspects of the mod. Earlier in the year we showed posters showing off procedural generation tech that allowed you to create dungeons, cities, villages, etc. This technology is very far into development but is NOT YET READY for public testing. 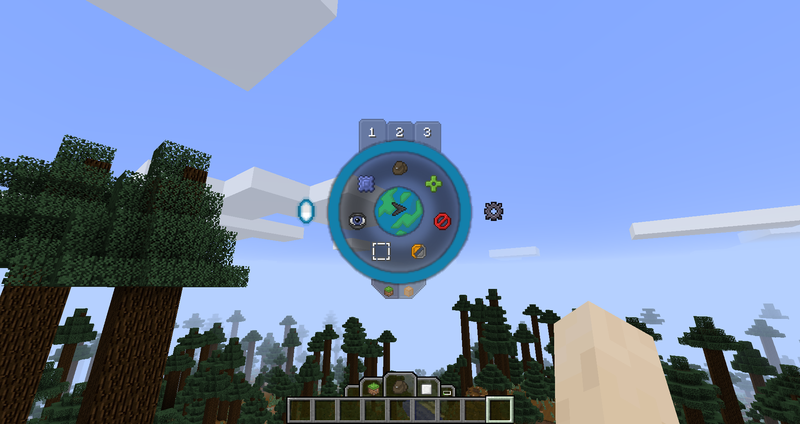 What this version contains is the BUILDING TOOLS that Orbis and its Designer Gamemode have to offer. We decided to release this early since we've had positive reception to these early features. Keep in mind this is still work-in-progress, and the very ambitious features mentioned earlier are still very much on their way. We appreciate your patience during this time! Never mind i found what was causing the crash it was the config of aether 2. I am constantly getting this crash. When i enter editor mode. i don't know whats causing it. ---- Minecraft Crash Report -------- Minecraft Crash Report ----// Oops. Loaded coremods (and transformers): GL info: ' Vendor: 'ATI Technologies Inc.' Version: '4.5.13506 Compatibility Profile Context 23.20.15017.3010' Renderer: 'AMD Radeon R7 200 Series' Launched Version: 1.12.2-forge1.12.2-14.23.5.2768 LWJGL: 2.9.4 OpenGL: AMD Radeon R7 200 Series GL version 4.5.13506 Compatibility Profile Context 23.20.15017.3010, ATI Technologies Inc. GL Caps: Using GL 1.3 multitexturing.Using GL 1.3 texture combiners.Using framebuffer objects because OpenGL 3.0 is supported and separate blending is supported.Shaders are available because OpenGL 2.1 is supported.VBOs are available because OpenGL 1.5 is supported. Is this better than worldedit? I found a bug with this mod installed; when you try to interact with anything (ex. chests, fence gates, doors, trapdoors, crafting tables, and furnaces) and you don't have anything in your hand, it will not interact. You have the hand animation, but it will not actually do anything. Any chance of a more ‘pixelated’ GUI? This tool looks phenomenal GildedGames! As a project lead on Ocarinacraft build team I am really excited to see schematics implemented as we heavily use them and would work great with Cubic Chunks mod so we can get epic scale zelda builds. If at all, is there any ETA on when we can test that feature? Before the end of the year or early 2019? Great, great, great and amazingly intuitive editor! Guys keep this up and you'll even overgrow WorldEdit! Oh my god, this mod is amazing! Thank you for this masterpiece, GildedGames! Wow! You have rendered me speechless! Can't wait to try this out! 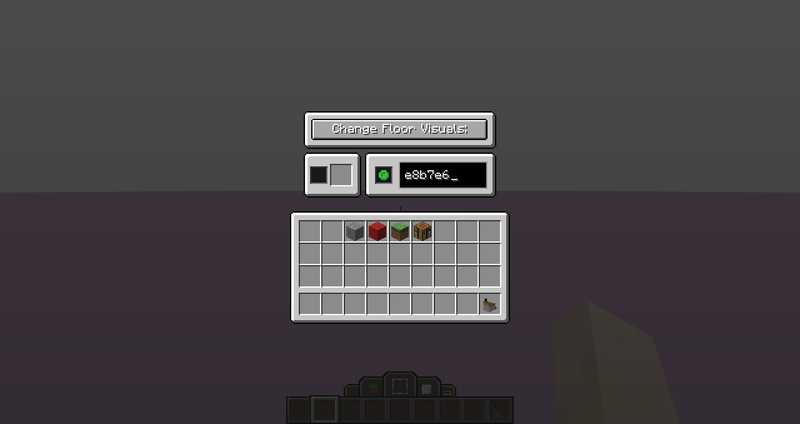 So, aside from the palette GUI being unusable, this mod is otherwise fully compatible with JEI. And to be honest, not being able to make palettes isn't a big loss for me. It's still the best building tool I've ever used, and you guys should give yourselves a pat on the back for making this awesome beast! 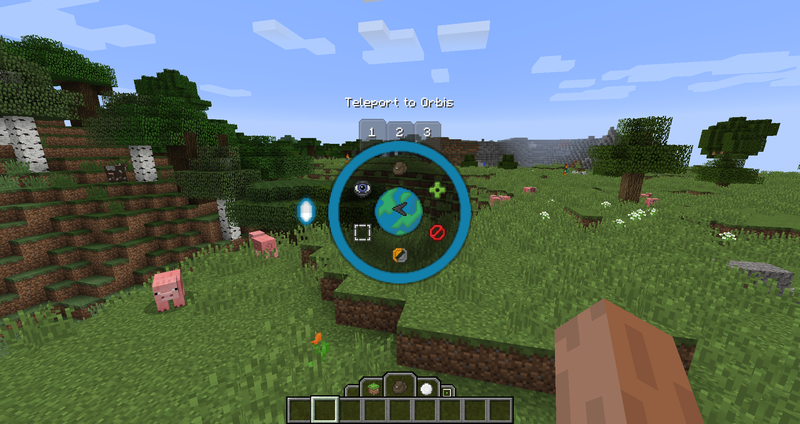 I'll be fixing the JEI issue soon, but for now you can press Ctrl + O to hide the JEI menu! just curious, is there any plans to add a change biome option? Can this be used to paste a schematic into the world from a saved schematic in a folder? Not yet but this is something we want to do very soon.